Looking to add a new property in Google Analytics? Google Analytics allows you to have up to 50 properties in a single account. In this article, we’ll walk you through how to add a property in Google Analytics. Your Analytics profile consists of 3 different components. They are account, property and view. Account: You should have at least one account to access the analytics report. Property: A property can be a website or a mobile app that you’d like to track in Google Analytics. View: A view is the access point for your reports. For example, within a property you can have different views for viewing all the data for example.com, viewing only a specific subdomain, like blog.example.com or viewing only AdWords traffic. 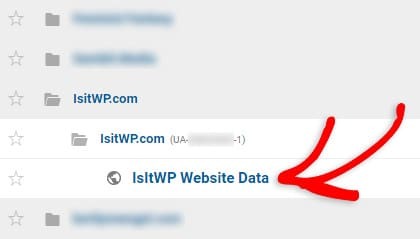 A property in Google Analytics is associated with a unique tracking ID. If you are looking to add a new website for tracking in Google Analytics, you need to create a new property. Now let’s take a look at how to add a new property in Google Analytics. In the Property column, click on the dropdown menu, and then, click Create new property. 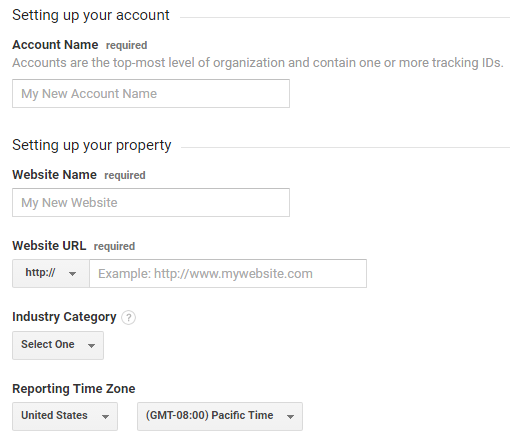 You can now specify details like Website Name, Website URL, Industry Category and Reporting Time Zone. 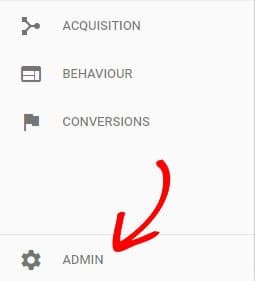 After adding a property to your Google Analytics profile, the next thing you want to do is to set up Google Analytics tracking on your property or website. 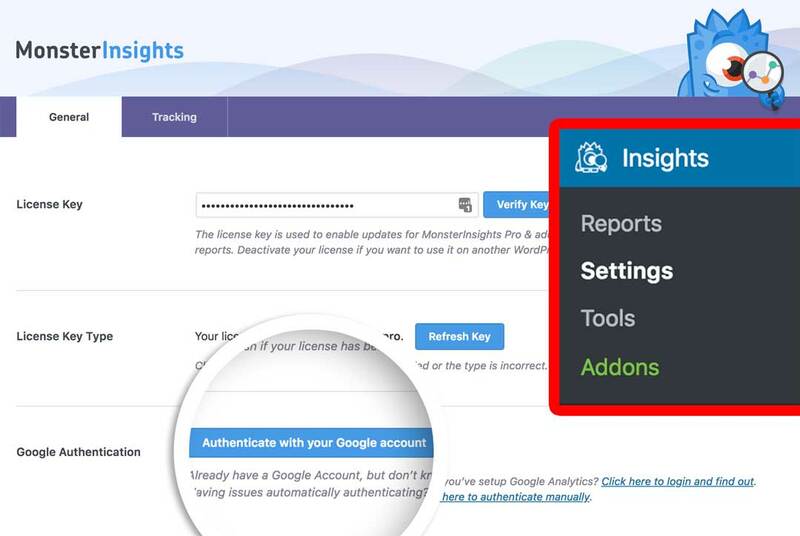 MonsterInsights allows you to easily set up Google Analytics without having to manually copy and insert the tracking code into your WordPress website. First, log into your MonsterInsights account and download the plugin zip file. Once you have the zip file, navigate to the site where you want to install MonsterInsights and go to the WordPress admin dashboard. Then navigate to Plugins » Add New and click the Upload Plugin button at the top. On the next screen, you can click the Choose File button to select the zip file you just downloaded. Then click the Install Now button to upload the file and install the plugin on your site. Then click Activate Plugin. After the plugin is activated, you’ll see a few messages at the top of your dashboard. 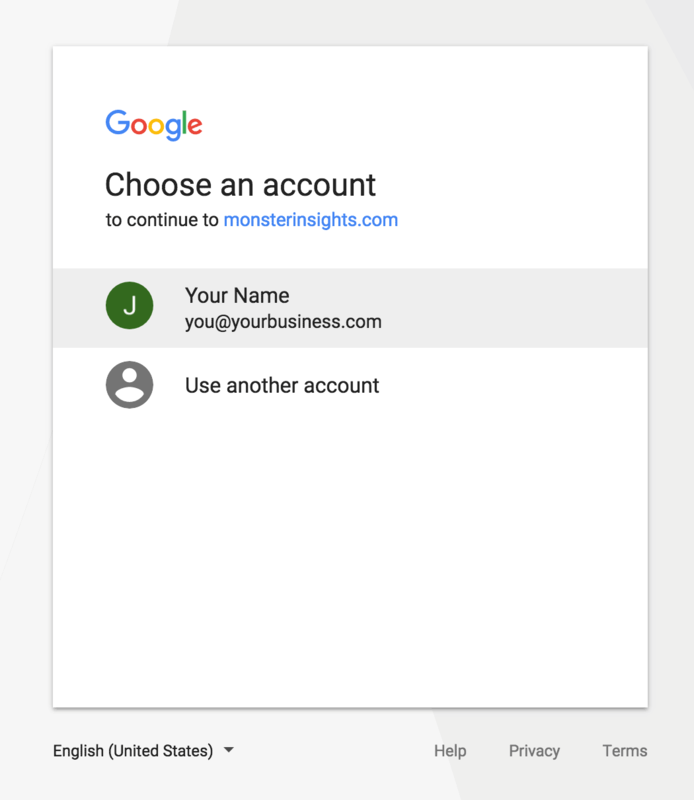 To set up your Google Analytics account with MonsterInsights, click the Google Analytics settings link. This will bring you to the Insights » Settings menu. Now you can click the Authenticate with your Google account button to start the process. Next, allow MonsterInsights the permissions. Finally, select your website’s profile, click the I’m not a robot button, and then click Complete Authentication. It can take a few hours for Google Analytics to start collecting data. We hope this tutorial helped you to add a new property in Google Analytics. If you’re looking test what works best on your site by conducting A/B tests, you may need to set up Google Optimize on your site. And don’t forget to follow us on Twitter and Facebook for more Google Analytics tutorials.